In the modern world, we’re witnessing the gradual erasure of borders. This process is related not only to business or politics. Nowadays, almost any person despite their citizenship of physical state can get medical or educational services all around the world. To regulate such relationships between a person and international organizations, there are dozens of specialized commissions creating laws and standards. The educational standards claim that students with disabilities should be provided with opportunities to realize their potential. They should participate in education and training on the same basis as students without disabilities and that they are not subject to discrimination. Due to the progress in the IT industry, digital technologies are easily accessible and widespread which allows using them for providing students with new opportunities. 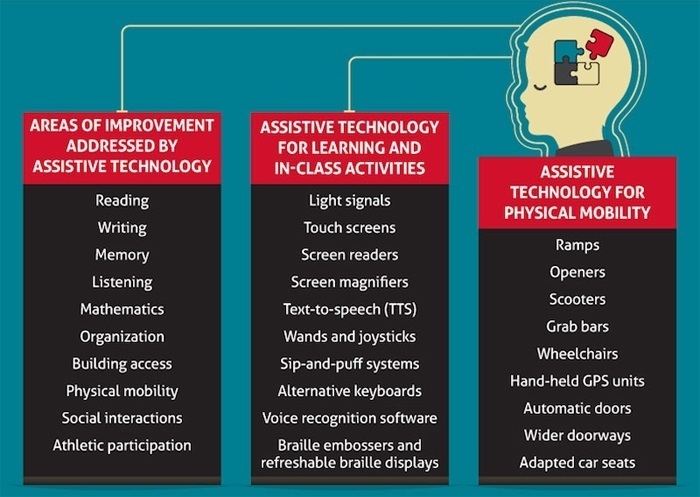 Here is how technology can simplify the educational process for people with disabilities. According to the National Center For Education Statistics, in 2015–2016, the number of students served under the Individuals with Disabilities Education Act (IDEA) in the US was 6.7 million. This number is equal to 13% of all public school students. While the percentage of such students stays pretty much the same during the last years, the total number of them has increased by 0.3 million since 2011-2012. The percentage distribution of different disabilities types is presented in the National Center For Education Statistics website. These numbers tell us that there can’t be a single technological solution that would suit the needs of all students with special needs. Due to the high diversity of types of disabilities, the best possible outcome can be guaranteed by the use of custom-made solutions designed according to the requirements of a particular group of students. 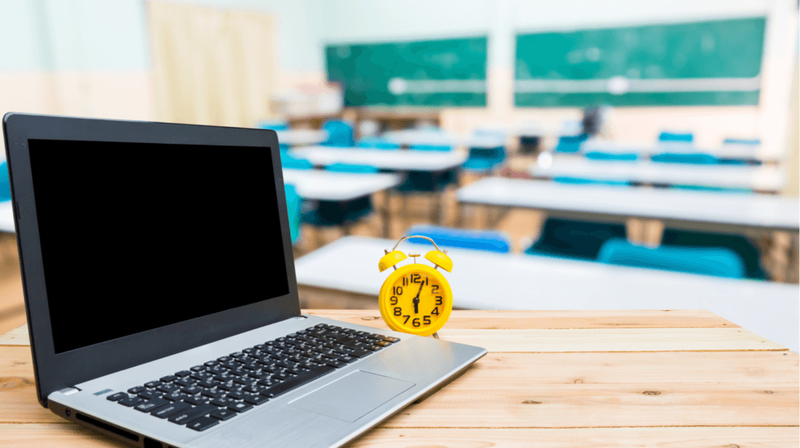 Special technology allows increasing the independence of a particular student freeing him from the constant need for direct teacher involvement. As a result, a student can choose the speed of learning that is convenient for him which leads to more personalized learning. When a student doesn’t inhibit the learning process for the whole group, it allows reducing the anxiety level which plays a significant role in education as well. Implementation of technologies in special education allows simplifying the communication and improve the academic skills of students with disabilities. From common words, let’s move to something more specific. There are many ways of how technology can help students with special needs. For example, some kinds of disabilities don’t allow students to use handwritten text that is an integral part of "traditional" education. Using technical tools intended for human speech recognition and synthesizing, you can avoid the necessity to use paper and pen during the lessons. Such technology would be also helpful for students with disorders that don’t allow to process visual information correctly. The adaptive computing technology allows using digital devices to bypass challenging tasks. Screen reader applications such as JAWS along with specially designed Braille keyboards allow visually challenged students to use the computer. Augmentative communication systems help students with speech problems to overcome the communication barrier. Such systems use picture charts, books, and specialized computers providing functions of word-prediction for more effective communication. Pay attention to the cost of a given solution and its potential effect on the learning process. Prefer a technology that is not difficult to master. Make sure that the application you’re going to choose is reliable and will naturally integrate into the educational process. Focus on user-friendly and intuitive solutions. Possibility to implement custom functionality that meets your requirements or customize the existing solution. Modern software allows minimizing the effort required for taking a step towards the student with a disability. Web-based solutions help to participate in an education process to the same degree with other students. Due to some forms of disabilities, students with special needs can face issues associated with moving over long distances. Web-based learning solutions allow providing educational services taking into account the interests of students and educational organizations. The task is to offer students an easy-to-use and intuitive tools for purchasing online courses, scheduling, and tracking the academical progress. Using this software, students can order one of the available educational courses online without leaving home. Also, there’s the possibility to hire a specialist who has the skills required for teaching students with a particular form of disability. Neat and intuitive web-based chatting applications allow creating online classes that help students with disabilities to communicate with each other and the teacher. Such virtual classrooms allow both learners and teachers from different parts of the world to participate in live classes. Low cost of such an approach to the educational process is one of its main advantages. 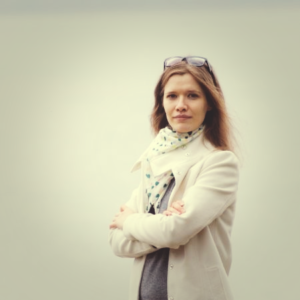 Students don’t have to worry about travel expenses. All that is required is a laptop or tablet with access to the internet. An example of a solution for all these issues is XB Chat - an intuitive web-based chatting app with the possibility to hold audio/video and text conversations. Chat rooms for up to five users allow reading lectures for small groups of students. In case of need for individual sessions, teacher or student can initiate a new person-to-person chat. Using the screen sharing feature, the teacher can demonstrate presentations to the whole class. The app also allows for recording the lessons. It means that the content remains accessible after being delivered. Special education software helps students with disabilities to reach their potential. Individualized Education Program (IEP) Software simplifies the work with children that have learning issues caused by brain injuries, developmental delays, or intellectual disabilities. Response to Intervention software provide tools required for assessment of students’ knowledge. 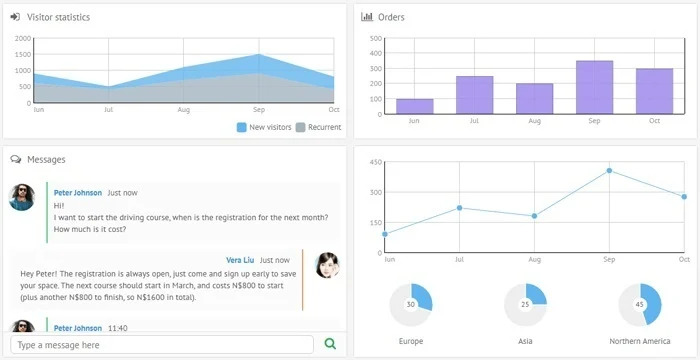 Such solution helps to monitor the learning progress and visualize it as a set of charts. Also, it allows simplifying the reporting. 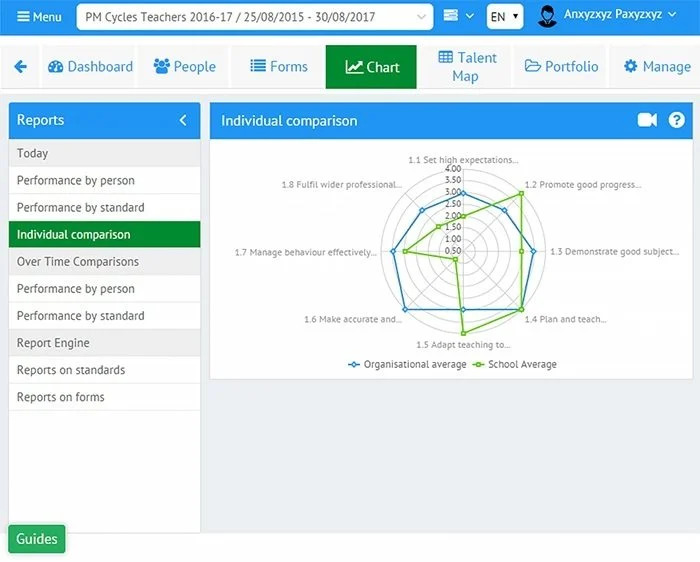 This application provides teachers with better insight into student progress. It allows tracking an educational plan for the student and making changes if needed. Educators can manage individualized education plans better which helps students to reach higher results. 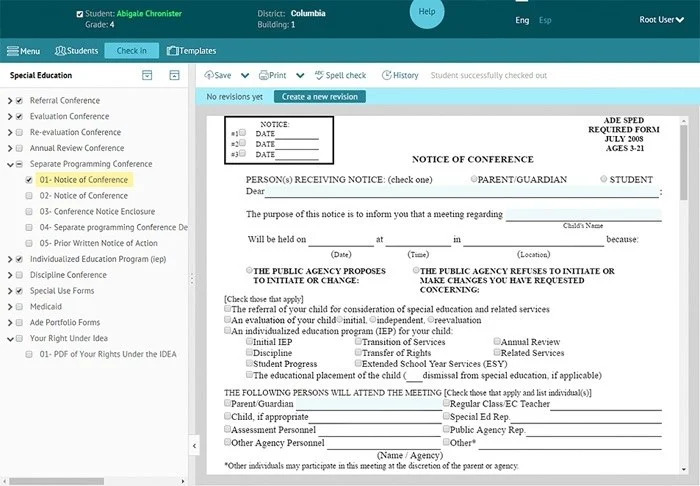 It provides a bunch of predefined templates for completing forms. Also, the possibility to import and export data was implemented. All documents created with this module can be saved as a PDF file or printed. The use of technology in special education helps break the barriers for people with disabilities and provide them with access to the most relevant educational programs. Properly designed software and hardware allow students with special needs to get modern education and achieve any required information online. Technology helps provide students with individual learning events, enables reaching higher flexibility and differentiation in educational methodologies. With modern technology, teachers can adapt to the possibilities of a particular student with minimum effort and choose one of the dozens of available learning tactics designed to meet the needs of individual learners.